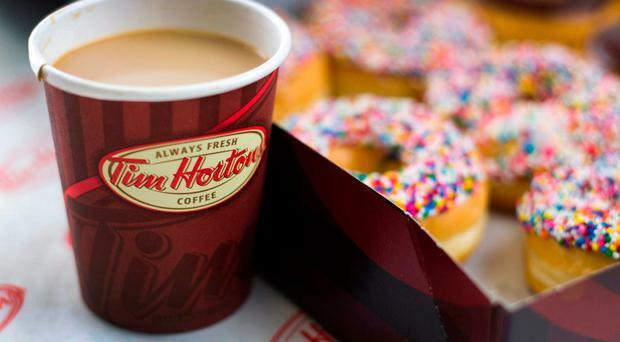 Canadian coffee chain Tim Hortons is planning a new drive-thru outlet in Coleraine. It’s just six months since the multinational entered the Northern Ireland market with a store in the centre of Belfast. The new outlet resulted in around 300 people queuing down Fountain Street for a taste of the chain’s coffee. Tim Hortons is to open its second store here next month, a drive-thru at Connswater Shopping Centre in east Belfast. Now a planning application submitted to Causeway Coast and Glens Borough Council has revealed the next step in its expansion here. SK Group, trading as Tim Hortons, is proposing a £900,000 development at the former Isaac Agnew site in Riverside Retail Park in Coleraine. The plan would see two new drive-thru outlets on the site next to McDonald’s, with 62 parking spaces. According to documents submitted to planners, Tim Hortons will occupy a larger 300 sqm unit on the site, with the occupant for the smaller 263 sqm unit yet to be confirmed. However, the application confirms both will be coffee shops. It’s unclear whether the Canadian chain will set up shop in both or lease the second unit to a rival company. Drive-thru coffee appears to be a growing trend in Northern Ireland. Two other similar bids were submitted to planning officials in recent weeks in Newtownards and Mallusk.